Over the years, wealthy individuals have collected art. Today many of these amazing once-private collections are accessible to the public. 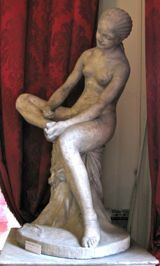 Above, Sculpture by Jean-Baptiste Pigalle, Jacquemart-André Museum. Paris offers so many opportunities to see wonderful art, through its many museums. Of course everyone knows the top museums, like the Louvre and the Musée d'Orsay, and the museums focused on individual artists such as Rodin or Picasso. But we also know the Louvre can be overwhelming (here are some tips on how to visit) and the Orsay is often very crowded. If you want to see art in some smaller, more intimate settings, consider these museums, based on private collections. 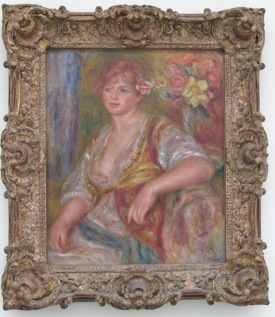 Above, Renoir's Blonde à la Rose, Walter-Guillaume Collection, Orangerie. 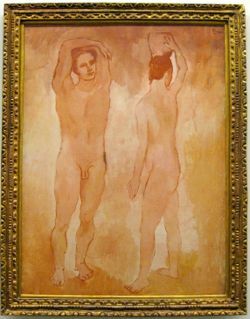 Below, Les Adolescents, by Picasso, in the Walter-Guillaume Collection.